Electricity is not something to meddle with. Our lives literally revolve around an uninterrupted supply of electricity which in turn powers our days and nights. When it comes to handling electrical equipment which may range from your simple coffee machine to the heavy machinery at work; it’s always better to be safe than sorry. Keeping a close check on wirings, fuse boxes and electrical equipment is one of the ways that you can prevent any unwanted accident from happening. Hiring registered test and tag companies for regular upkeep of the aforementioned are beneficial in the long run. Let’s take a brief look at testing and tagging and how it works! 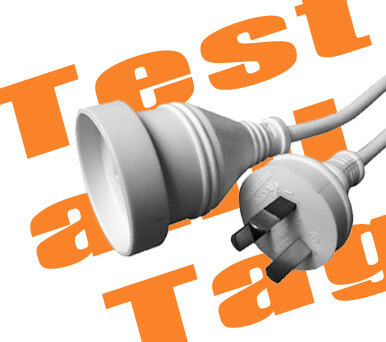 Testing and tagging of electrical equipment simply refer to checking the safety of that appliance or equipment. It takes place in two steps. The equipment is visually inspected and then electrically tested for any underlying faults. Once it has been tested and cleared, a tag is placed on it which indicates the name of the testing company, the date it was tested on and the due date for the next test. Testing and tagging of electrical equipment, ranging from your microwave oven to the heavy machinery used in construction sites is important as it ensures that the tested equipment is working properly and is safe to use. Test and tag labels are very important. They are not just a label, rather they are like an identification card giving out important information about the equipment and its safety. Let’s see what information can be gained by a test and tag label. The first and foremost thing on a label is information about the person or the company who has performed the test. Always ensure that you hire a registered individual or company to perform these tests as this is literally equivalent to playing with your lives if you hire an unregistered or unqualified person to do it instead. The next important thing mentioned on the tag is the test date, followed by the due date for the next test. Here you can be smart about things and keep yourself updated about the test and tag intervals. A tag number is also mentioned on the label which is basically a log history number used by the test and tag company. Labels with different test tag colors are available and they are used according to the equipment that is being tested. Generally, different colored tags are used in testing heavy machinery at construction or demolition sites. Each chosen color represents a set number of months and the equipment is tested accordingly before changing the colored tag. Let’s discuss a few points regarding the testing and tagging of electrical equipment. All types of electrical equipment, whether they are in your home or workplace, should be regularly tested and tagged. Generally, it is recommended that any electrical equipment with a flexible cable and removable plug, including a portable RCD, should be tested and tagged. Though it may seem cumbersome to get these things in order it is always better to be extra cautious and careful. Keep in mind that brand-new appliances or machinery don’t need to be tested. They can be tagged on the basis of careful visual inspection. It is imperative that you hire a qualified and registered company or individual to carry out the process. Always be up-to-date with the testing and tagging of your appliances to ensure your own safety and that of your loved ones. Always Ensure that Your Electrical Equipment is Regularly Tested and Tagged!